It's been awhile since I've chatted with you, unless you follow along on Instagram, so I thought I'd give a quick run down on all the little things I've been doing. 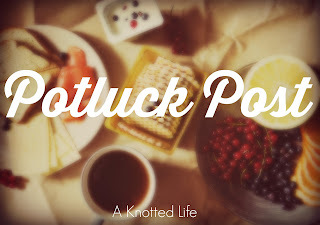 I call these my Potluck Posts because it's just a little of this and a little of that and lighthearted chitchat. I'm pretty happy to report that I am part of my diocesan paper's new book review team. For my first review I wrote about Haley Stewart's new book The Grace of Enough. You can read my thoughts on page 9. If you're a bookish Instagram user you may want to give @catholicpostbookpage a follow. My friend Katie and I are co-running the account and have some fun things planned. If you're looking for a fun podcast with some of my favorite people may I humbly suggest this week's episode of The Gathering Place podcast which features Kendra Tierney. It was such a fun conversation to eavesdrop on and so neat to hear Kendra talk about all the neat ways we can incorporate liturgical living in our lives. When the leaves start to change and it's chilly outside I crave a certain type of music. I put together this Autumn Playlist on Spotify. It's a pretty varied collection of songs but I hope you like it! 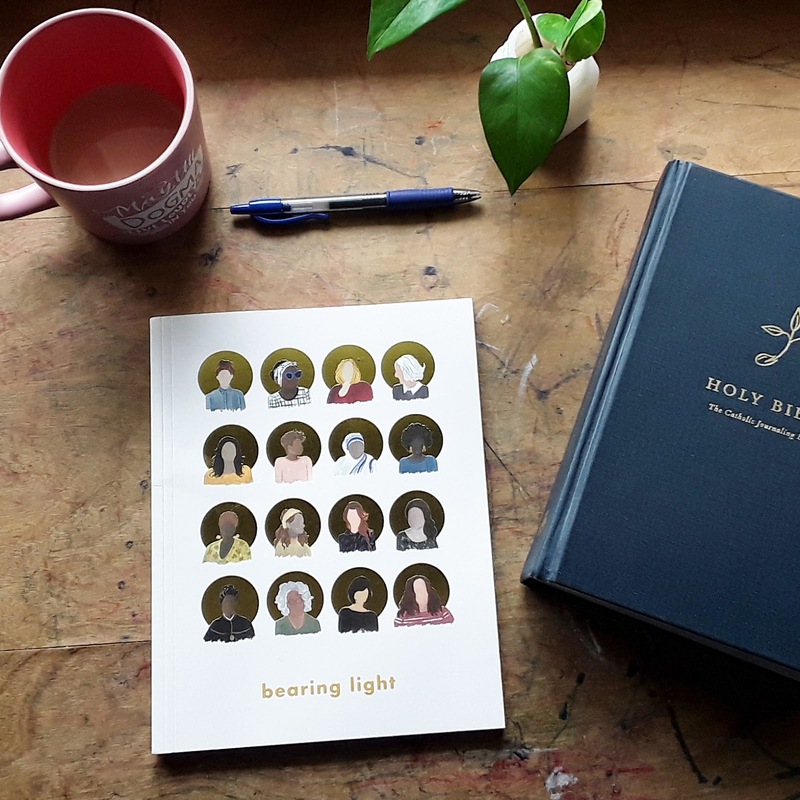 Blessed Is She Advent Devotional is still available for pre-sale. If you haven't snagged yours yet you can grab yours here. That's my affiliate link and if you use it - thank you! Funny fact, not every affiliate program allows us to thank the people who use our links but Blessed Is She does and so let me just make it super clear right now that our family always appreciates it when you buy through my link. I know some people use a different link each time you buy something and I love that! God bless you for your thoughtfulness! L is going as Hermione Granger and we've purchased a wand and tie (affiliate link) but need to find a robe. Ben says he's going as a skeleton investigator, which really just means he's wearing his Doctor Who coat from last year with Jofis' skull mask. We'll see if this sticks. MJ will be wearing a super cute lady bug costume sent to us from Kathryn at Team Whitaker. Recently JF had some blood work done and it came back with two of the three markers for celiac disease. We have to have it confirmed with a scope but we've taken him off gluten and he's already commented about how much better he feels. It makes me feel so sad that he was living with a constant stomach ache and didn't even know that he was supposed to feel better! Poor buddy. We're already dairy, egg, nut, sesame seed, and pea free so adding gluten to the list is a bit demoralizing (I confess I cried a bit) but we can do it. Wish me luck as I try to make a dairy-egg-nut-sesame-pea-gluten free dough that will work for our King Cake, St. Lucy buns, cinnamon rolls, crusty bread, and so forth. My current recipe is free of all those things but the gluten and it tastes so good - I'm just not sure how it will work once it's gf. You probably don’t need advice for your GF life but a friend of mine is a master at GF baking. She always says you have to weigh your GF flour and that mix and matching is helpful. I believe in you to continue to make your delicious baked goods! If you want to connect with my friend, let me know. She’s seriously quite brilliant at what she does. I personally ate a chocolate cake she made with it and would never have guessed it was gluten free. You can get a false negative with the biopsy if your child is off of gluten before the test.